Commercial Roofing | Brandon, FL | Dynamic Roofing Concepts Inc. When you experience roofing problems at your office, you want to find a commercial roofing contractor in Tampa and Clearwater you can trust. The last thing that you want to worry about is the cost to repair damages from broken or leaky roofing. The team at Dynamic Roofing Concepts offers quality and affordable roofing solutions. 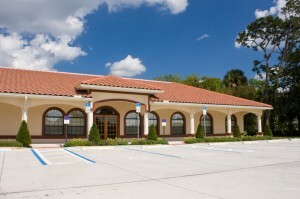 We are trained and equipped to handle all commercial roofing issues. We know there are many Plant City and Tampa roofing companies, and we are proud to be the top choice for commercial roofing services. Our certified roofing installation team is standing by to ensure your building’s roof endures the elements and the abuse that can occur with the maintenance of cables, air conditioning units, pipes, and other utilities housed in commercial building structures. You can rely on our expert installation of roof types that include flat, shingle, slate, tile, and metal. Building owners trust our team of experts to provide quality roofing in Tampa, FL and Carrollwood because our reputation for quality and customer service is unparalleled in the industry. At Dynamic Roofing Concepts, your 100 percent satisfaction if our priority. Call us today at (813) 657-7663 for more information about our services or to schedule a free estimate.